With Christ as my witness, I speak with utter truthfulness. My conscience and the Holy Spirit confirm it. 2 My heart is filled with bitter sorrow and unending grief 3 for my people, my Jewish brothers and sisters. I would be willing to be forever cursed—cut off from Christ!—if that would save them. 4 They are the people of Israel, chosen to be God’s adopted children. God revealed his glory to them. He made covenants with them and gave them his law. He gave them the privilege of worshiping him and receiving his wonderful promises. 5 Abraham, Isaac, and Jacob are their ancestors, and Christ himself was an Israelite as far as his human nature is concerned. And he is God, the one who rules over everything and is worthy of eternal praise! Amen. The Nation of Israel was and always will be God’s chosen people. It grieves Paul’s heart that his fellow Jewish brothers and sisters could not open their eyes to see Jesus Christ as their Messiah. Let’s look back in the book of Exodus where we’ll see that the same thing also grieved Moses’ heart. Paul and Moses were both willing to sacrifice their own eternity with God for their Israel. What deep love, deep pain, deep sorrow they each had for the Nation that they loved. In this first part of Romans Chapter 9 (verses 4 and 5), we see a seven fold blessing with Israel. Let’s take a closer look at these last two verses above. Blessing #1 -God revealed His glory to the Israelites. God revealed His very glory to the Israelites unlike He’s ever done with any other nation. One example is in Exodus 19, we see God’s glory descend on Mt. Sinai in the form of smoke. There are many other examples in the Old Testament of God’s glory becoming manifest in smoke, fire, and clouds. The glory of God filled the Temple that King Solomon built. Blessing #2 – God made covenants with them. God gave the Nation of Israel His promises. The first promise was given to Abraham. God promised Abraham that He would make a great nation out of him (Genesis 12:1-3). In Genesis 15, we see another promise to Abraham. God told Abraham that he would have as many descendants as there were stars in the sky. God gave Abraham many other promises as well as promises to other patriarchs in the Old Testament. Blessing #3 – God gave the Israelites the Law. The Law was only given to Israel. As we’ve seen in prior lessons in Romans, the Law itself was not bad. In fact, it was given to Moses from God so it is holy and pure. But the Law was unable to do anything other than point out a man’s sin. It was incapable of offering human salvation. It was unable to change the penalty for man’s sin. For more information on the Law refer to my prior lessons on Romans 7:1-6 and Romans 7:7-13. Blessing #4 – God gave the Israelites the privilege of worshiping Him. This is something that we need to grasp. When we go to church, we need to go with the understanding that it IS a privilege to worship God. We should not go with the attitude “what am I going to get out of this?” Instead, we need to go with the attitude “it is a privilege to worship God today!” The Israelites had this privilege long before us. They were given the priesthood. They were given first the Tabernacle and then the Temple. These people were given the Feasts. Blessing #5 – Israel was given the promises. All of the prophecy in the Old Testament are promises written for Israel. These are the prophetic promises. Some have come to pass and others are in the future. And they were all given to Israel. Blessing #6 – The Israelites’ forefathers were Abraham, Isaac and Jacob. In God’s Word, we know that heritage and lineage are important. The people of Israel are of the lineage including the Old Testament patriarchs Abraham, Isaac and Jacob. Blessing #7 – The Messiah is from the Israelite lineage. The Messiah was promised to come from the Nation of Israel. And we know that He did come from Joseph and Mary who were both of the line of King David. This is a big promise. Christ is the Creator of all. He is our Lord and Savior. We see this lineage in the first chapter of Matthew. What powerful verses. God’s Word never fails to amaze me. It has so many depths and levels. We can (and should) spend a lifetime studying the Word and we would see something new each and every time we open the Book. There is no way that man could create such a living and breathing Word. Only God is capable of this masterpiece. And Christ is God, the one who rules over everything and is worthy of eternal praise! Amen. If you’d like to learn more about the Holy Spirit, get my e-book all about Him. 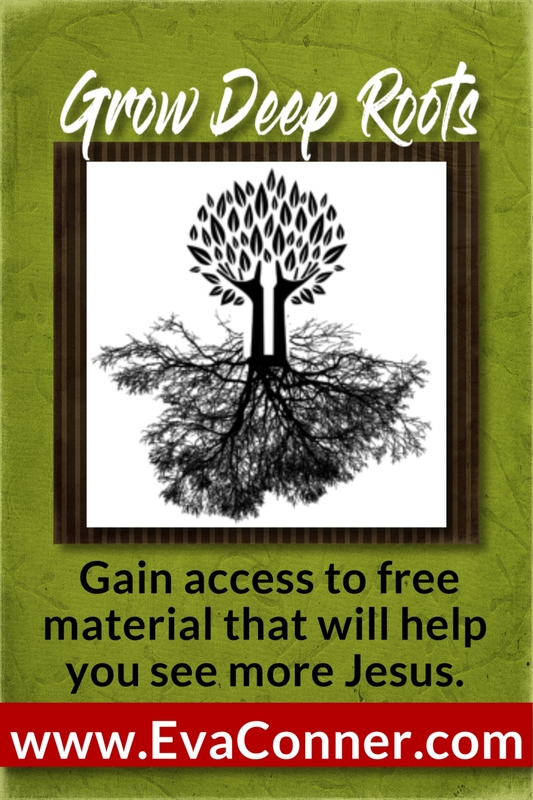 It is available for free when you sign up to receive emails from my blog by visiting http://evaconner.com/free-ebook-holy-spirit/ and entering your email address in the subscription form at the left of the page. You’ll receive an email asking you to verify that you are not a robot. After you do that, you will receive an email with a link to the free PDF e-book. SOURCE: I used teaching notes from www.lesfeldick.org for some of the information in today’s Bible Lesson study. « Romans 8:35-39 – Can Anything Separate Us from Christ?